This is a pre-order item with a release date of November 11, 2017. Items will begin shipping November 13, 2017. 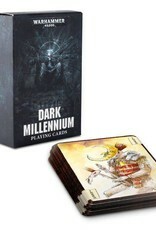 This pack contains 54 bridge-sized playing cards, divided into four suits - Imperium, Chaos, Mechanicus and Xenos - and including two jokers, each card featuring a uniquely sinister vision of the 41st Millennium. 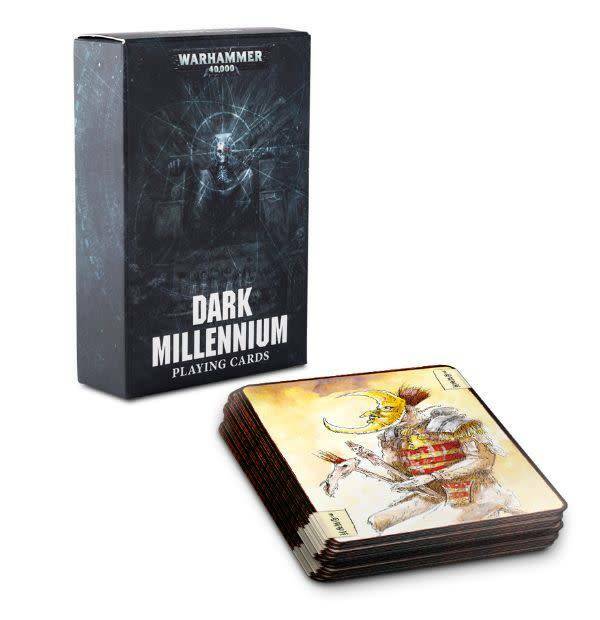 Created by John Blanche exclusively for these cards, each illustration perfectly captures the gothic darkness of Warhammer 40,000, providing a playing card experience unlike any other.